The godsend that is not having to shop at Sleepy’s, and the fun that comes with opening a mattress-in-a-box, are forgotten minutes after you lay down for the first time. The real revolution of the new guard of mattresses is better, cooler, more supportive foam, and Leesa is doing the same for pillows. Latex and foam pillows aren’t new. I’ve been using them longer than I’ve been sleeping on an Internet mattress (2013), with the best I had found up to this point being this option from Beautyrest. 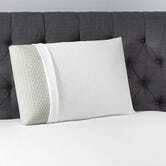 I also tried Slumbr’s latex “Lyra” pillow, and found it to be way too flat. 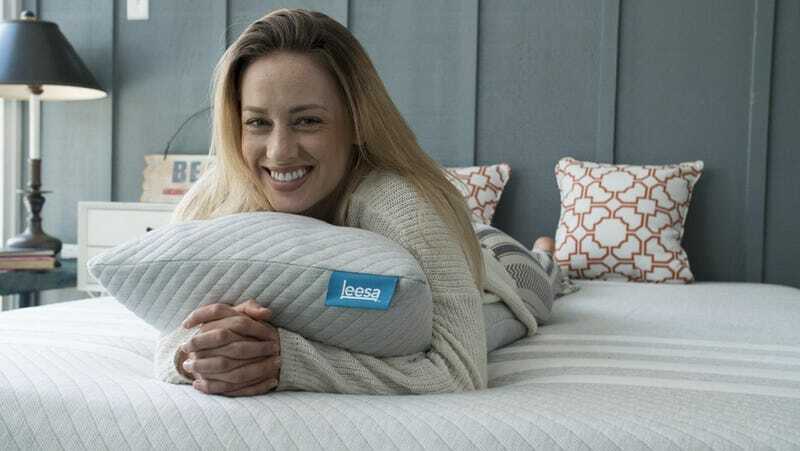 The Beautyrest pillows are great, but could stand to be firmer, less lofty, and just feel more premium in general, and that’s exactly how I’d describe the Leesa. Made of the same Aveena foam as their mattresses and blanket, Leesa’s pillows feel like the long-awaited pillow response to 2013's evolution of the mattress space. They’re just the right height, sleep very cool, and we also noticed that they don’t suffer from being king-sized, or get warped all the way across if you slip an arm under one. The Leesa Pillow cover is washable, and the pillow comes with the same 100-night trial that most Internet mattresses offer these days.